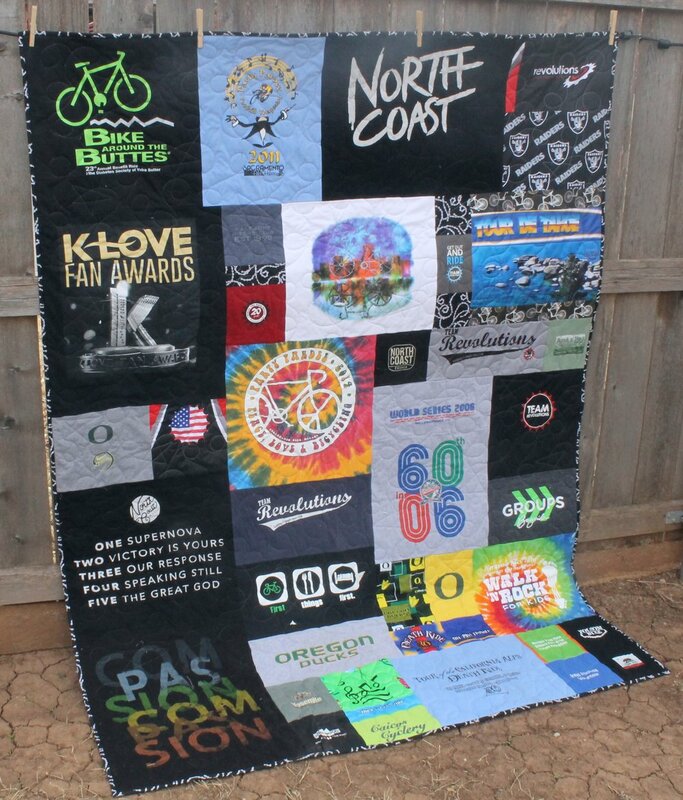 And the last of five cycling/Raiders/Oregon/church/etc t-shirt quilts! This one is for the grandson, and combines some new shirts, some pieces of shirts from the previous four quilts, and a bit of filler fabrics - backings and bindings from the previous quilts. So it took a bit more planning, but it's wonderful to know that the young fellow has bits of every quilt in his. 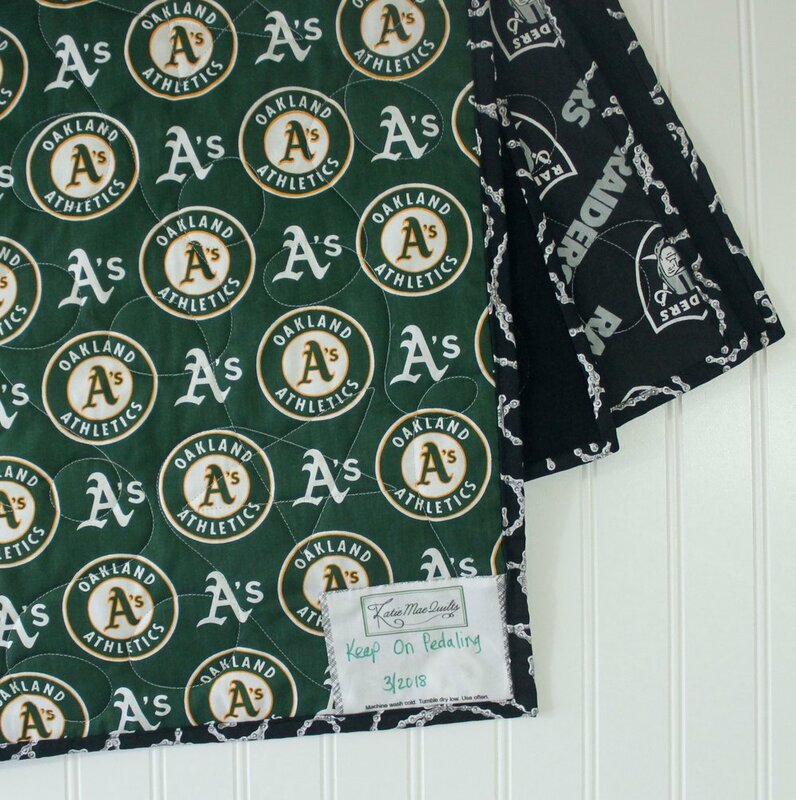 It's like the t-shirt scrap quilt! I made a little Death Ride section, because that impresses the heck out of me. I can barely get up hills, much less PASSES, on my bike. The quilting is loops and stars. The fabrics used are: Graphique Bike Toss, Oregon Block Print, Raiders Black/Silver, and Sweet Rebellions Chain Scroll. And the back! 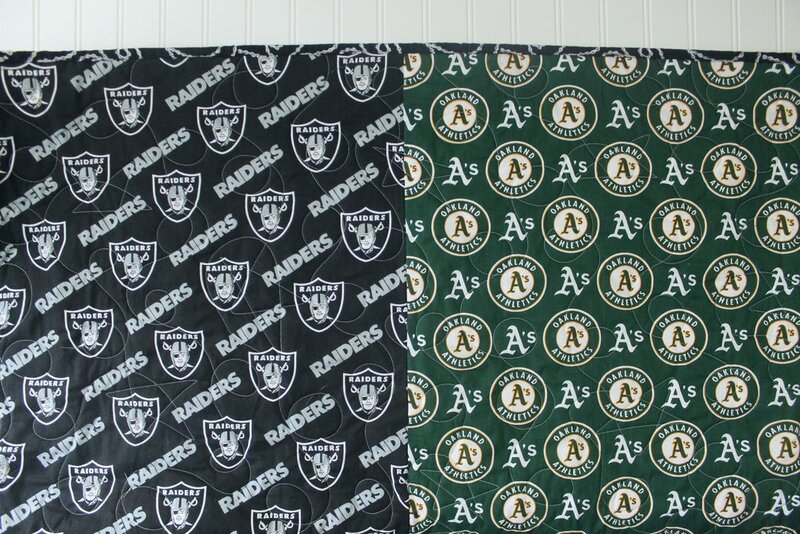 So they asked if they could combine Raiders and Oakland A's fabric. Sure, why not? When I say you can make it personal, I mean it, people! I love the fact that the binding and the name are the same in all five quilts - it's a great way to tie it all together.